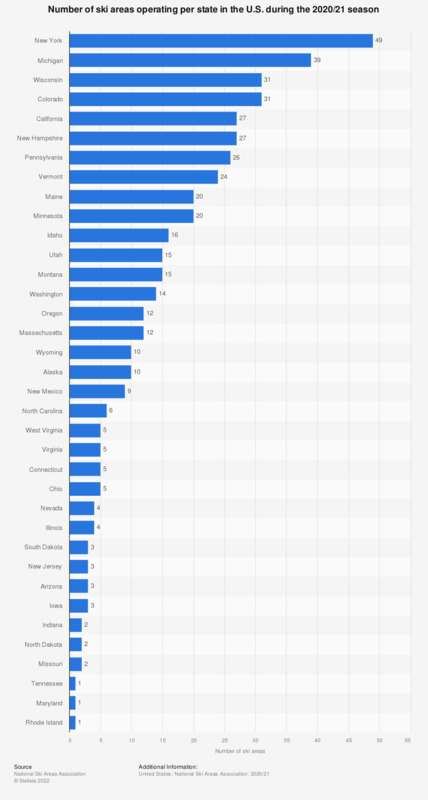 This graph depicts the number of ski areas operating in the U.S. during the 2017/2018 winter season, per state. During that season, there were 3 operating ski areas in Arizona. Who did you travel with on your last ski break?